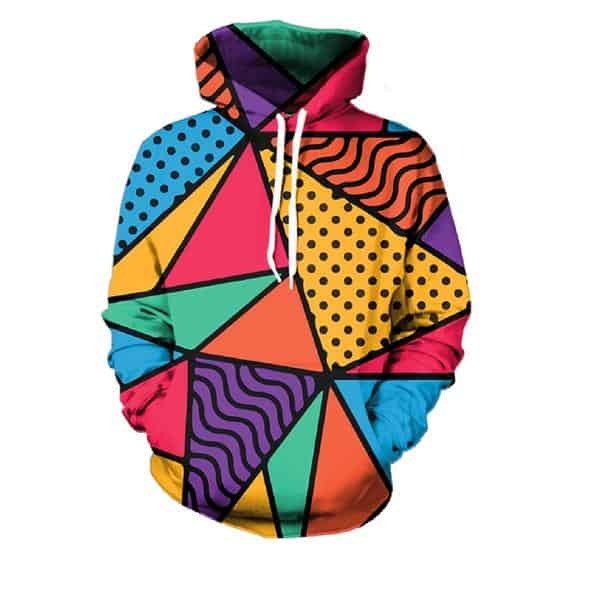 A cool modern art hoodie which uses various colors and abstraction to create a stylish print. This hoodie will capture the attention of the creative mind. Cool and trendy to wear. The hoodie is comfortable, looks fashionable and is wearable anywhere. It was designed for both male and female.